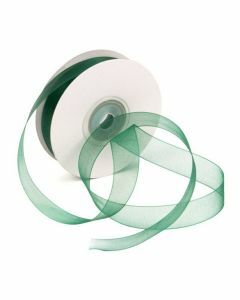 Organza® Ribbon comes in a wide variety of colors that will add a classy touch to your packaging. Use it for tying up gusset bags, bundling cards, paper, or gifts. 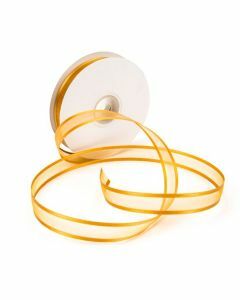 5/8" Ribbon (25 Yard Rolls) with Satin Edge has lace between two edges of a denser satin-like finish. 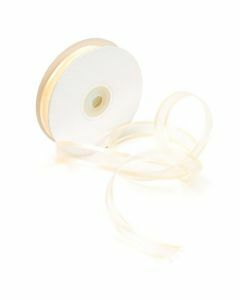 5/8" Mono Ribbon (25 Yard Rolls) is lace that runs from edge to edge. 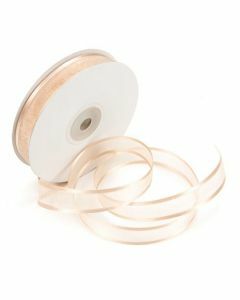 1/8" Ribbon (50 Yard Rolls) is lace that runs from edge to edge.